Mizoram Government Jobs page will help everyone to seek government jobs by Mizoram state government. We have mentioned all current government job openings of Mizoram state. The table is given below which will show you the current opening vacancies, with some useful information like the Last Date of the form, eligibility, post name and number of vacancies. If you want to get more details about any specific Mizoram Government Jobs then you must click on the post title of that specific job post. And you will get information about how to apply, important dates, notification attachments, useful links to apply online or offline and more. 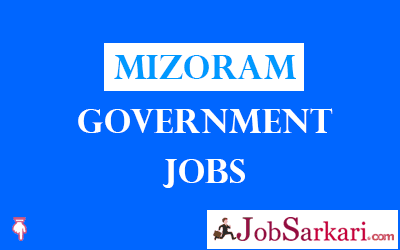 If you find our Mizoram Government Jobs page useful then do bookmark our page now by pressing CTRL+D or keep visiting Jobsarkari.com for new and useful updates about more government jobs.